Cook with the Force, you will. 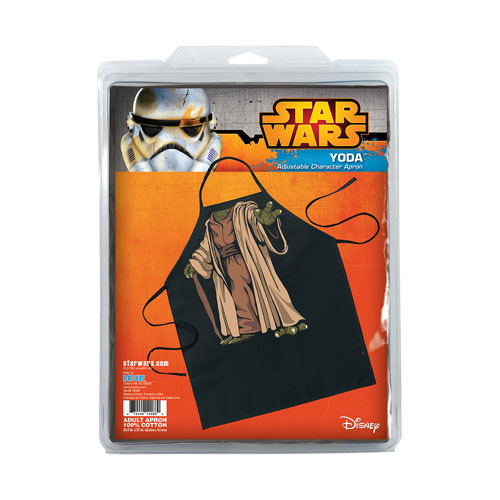 This Star Wars Yoda Be The Character Apron has the little green Jedi's body on the front of it. Adjustable ties make this apron one size fits most. 100% Cotton. Measures 24 1/2-inches by 31-inches. Ages 14 and up.